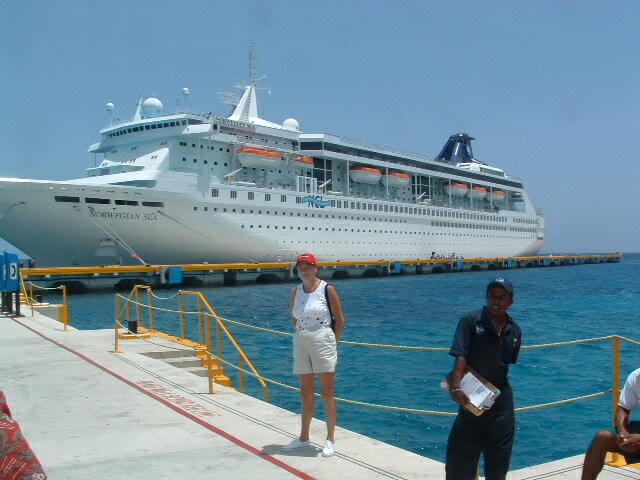 On a cruise aboard the Norwegian Sea we had a stop in the port destination Cozumel. 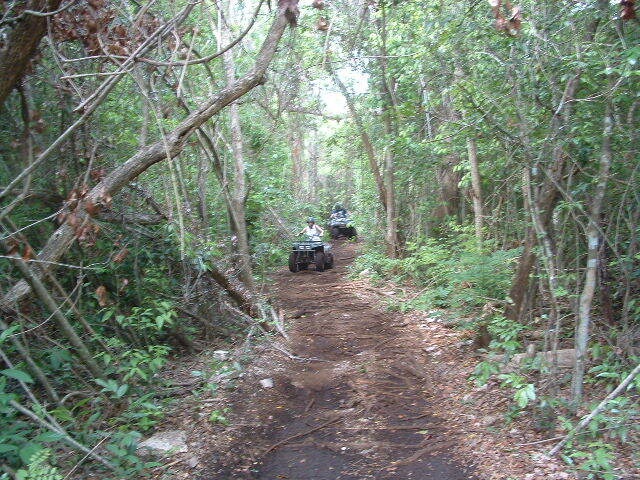 While in Cozumel we opted to take one of the shore excursions offered by the cruise lines, an ATV ride through the jungle to see some Mayan ruins. 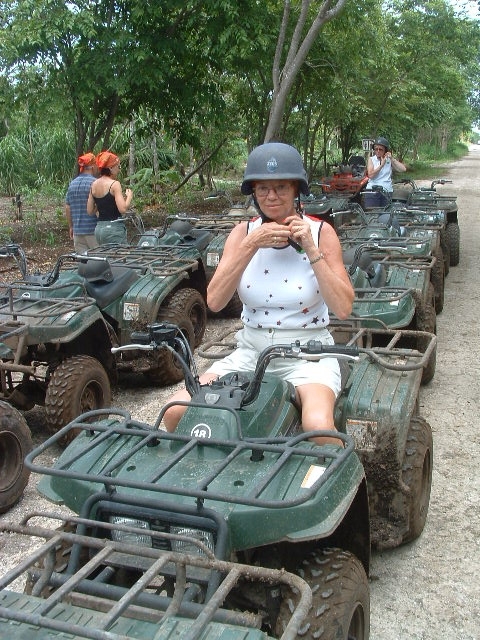 I think it would have been better named “Wild & Crazy ATV Jungle Adventure”. 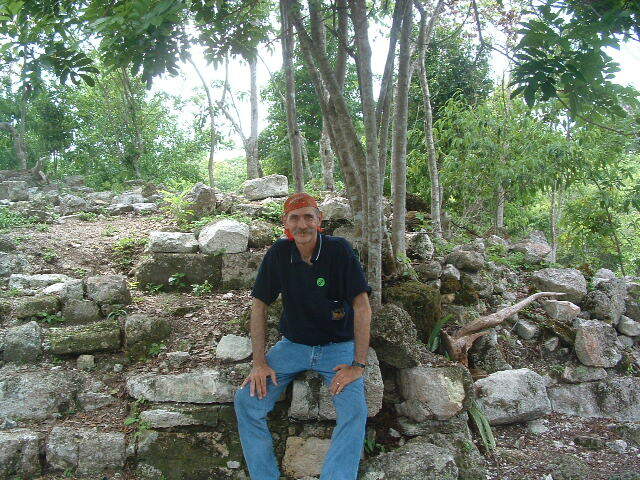 It was absolutely one of the most unexpected and fun shore excursions we’ve ever had, we we’ve done many a shore excursion. The tour guides gave our group about 15 minutes of instruction and plopped us on to 250 cc Suzuki Bear Tracker ATV’s. 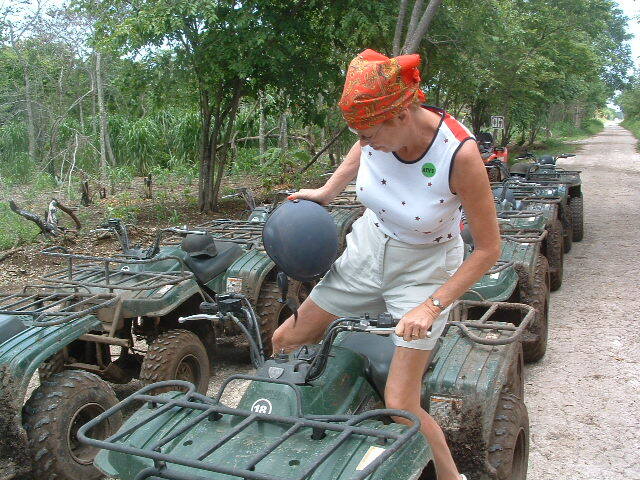 Neither Kathy nor I had ever ridden an ATV before but it looks pretty easy. Mud puddles, half buried logs, logs that aren’t buried at all, huge potholes, hair pin turns, it was simply amazing. We still can’t believe we were able to hang on. 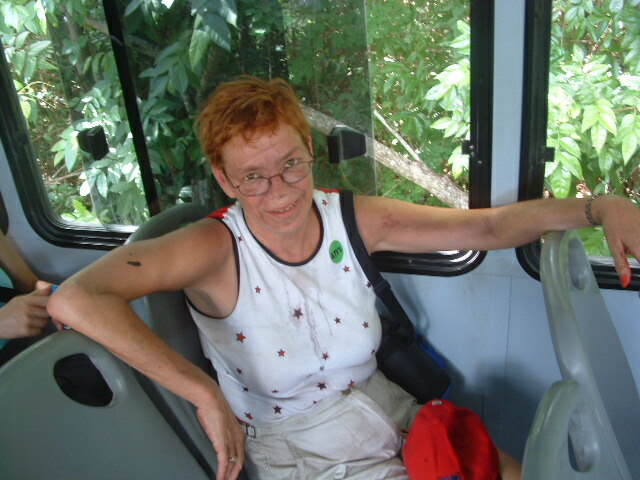 By the time we had to get back on the bus we were covered from head to toe in mud along with everyone else too. 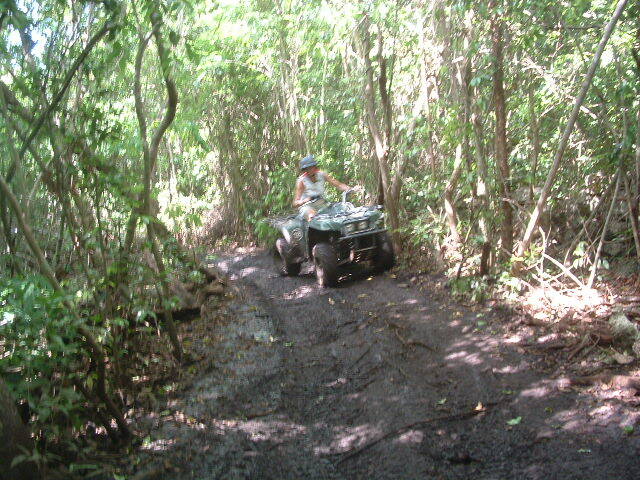 If you ever get the chance to ride through the jungle on ATVs don’t pass up the opportunity!